Portability is the next big thing in our digital age. No wonder a lot of people are ditching their laptops in favor of tablets or larger smartphones for their business needs. If you’re planning to spend your money on buying a laptop, then why not read this article first and see what benefits of having a tablet has to offer. A lot of people are skipping tablets when it comes to productivity because they think that tablets aren’t capable enough of doing office-based tasks and also because of its smaller screen. But what they didn’t know that using a virtual keyboard on a tablet is actually pretty handy than the ones you can do on a laptop. Virtual keyboards can be customized whatever way you want it. It also comes with voice recognition so you can just speak what data you want to type in for an easier convenience. Tablets are lightweight, more easier to carry, and can even fit in your bag just right. Compared to laptops where you have to carry an extra bag just to take them anywhere, what’s even worst is that the weight it holds add extra burden on your bag. If you’re a person who’s always on the go, then a tablet might be the perfect device for you. Tablets are designed for people that’s always on the go. That’s why manufacturers are working hard to optimize both software and hardware to provide a long lasting battery life. Compared to laptops, where it uses more powerful hardware, which results to a battery life that won’t even last for a day. 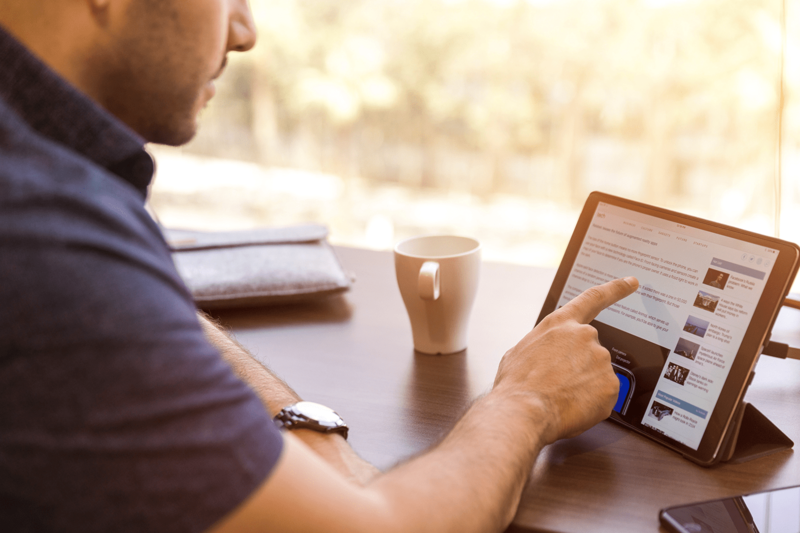 A lot of tablets that you can find in the market today can last up to 10-12 hours of moderate usage such as browsing the web, document editing and more. There are still a lot of benefits that you can gain while using a tablet and these are just a few of them. As technology evolves our devices just keeps getting better and better. And with more and more people relying on portability today, now is the right time to pick up a tablet and enjoy a more convenient way of carrying your work with you.